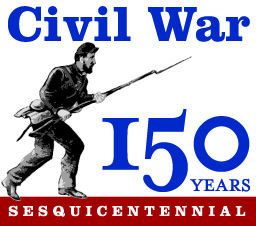 This year, 2015, marks the final year of the sesquicentennial of the Civil War. During the course of the war, many amazing things were invented, such as surveillance hot air balloons, as well as submarines, and many terrible things were invented, like the Gatling gun (predecessor to the machine gun). The war saw the start of Federal income tax, mass-production of goods like clothing, and paper money. 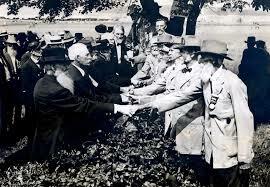 The war also made significant advances in how warfare was conducted, in that men began fighting from trenches. 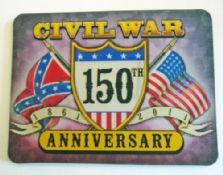 Every battle of the Civil War was bloodier and more brutal than the previous, and by the time 1865 came around, people were so tired and heartbroken that the entire country yearned for peace. Three months after the New Year began, the war would finally end, but not without lasting repercussions. Some other lasting inventions created during the war included Borden canned milk, Underwood deviled ham, Van Camp’s pork and beans, sewing machines, postcards, pocket watches, breakfast cereal, and repeating rifles and six-shot revolvers. Major battles contributing to the end of the Civil War included the Battle of Sailor’s Creek, the Siege of Petersburg, and the Battle of Appomattox.